Pool repairs are probably one of the more frustrating parts of home ownership ownership in Palm Springs and the desert in general. 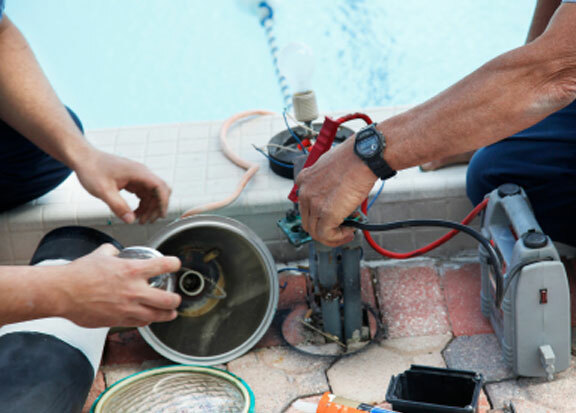 Pool repair can include cracks in the pool, motor replacement, heater installation or pump repairs. .
call us in Palm Springs at (760) 844-3081. Tile or retile chipped and damaged sections of your pool. Repair cracked or chipped pool deck surfaces. Detect leaks in your pool. 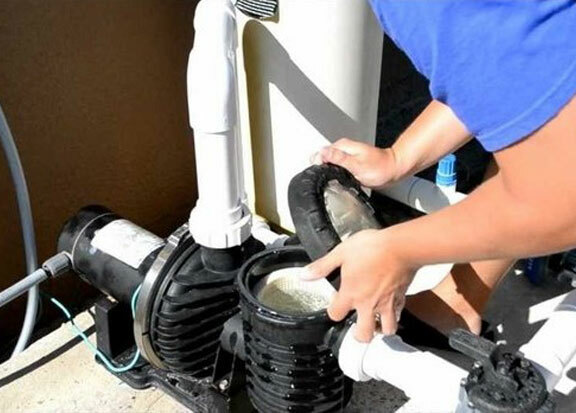 Fix all types of pool equipment: pumps, heaters, auto cleaners, timers, controllers, etc. Spa and hot tub repairs. Detect and fix pool plumbing leaks. While pool repair is a general term that can refer to anything dealing with swimming pool repair, they are one of our highest priorities. We take the time to check over your equipment to make sure everything is working properly. We want to eliminate the stress that can occur when a small problem goes unchecked and becomes a big issue. Call today at (760) 844-3081, we will keep your pool genuinely clean and radiant.